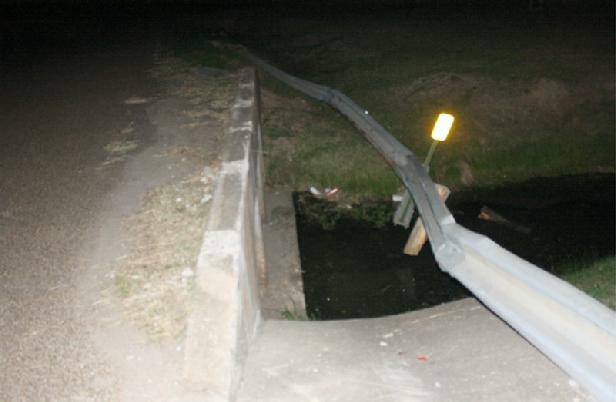 Gerald Wayne Boone struck this bridge railing knocking it out (Old Woodville Road). 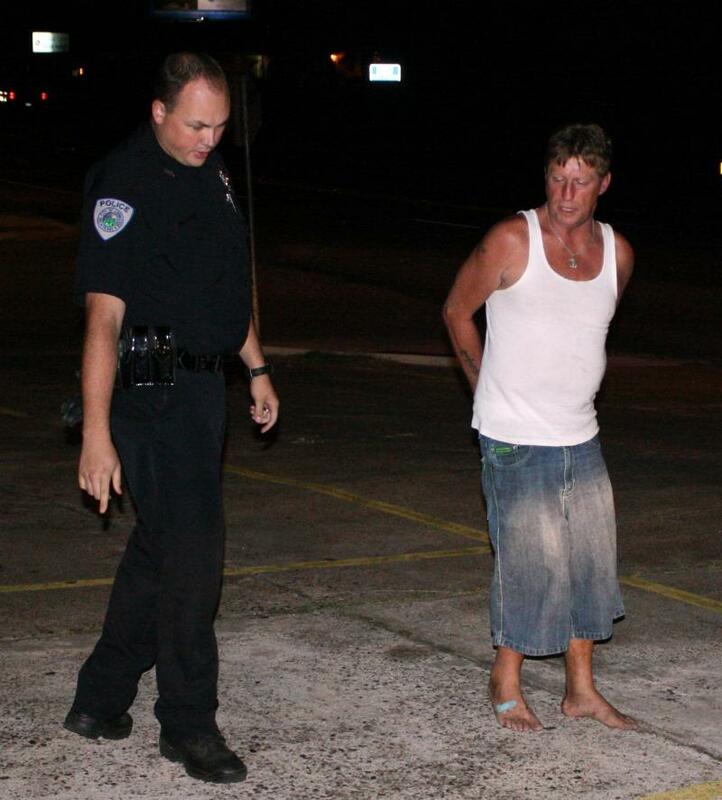 Intoxicated Driver Takes Out Bridge Railing, LIVINGSTON, October 15, 2011 - At approximately 10 pm on October 15, 2011, a white 2002 Chevy S-10 Driven by Gerald Wayne Boone, 45, of Livingston, was south-bound on Old Woodville Road. Boone's vehicle left the road to the left and struck the guard rail on the bridge near US-190 East. Evidence suggests that he corrected and then slammed into the bridge again completely knocking the railing into the drainage area as his vehicle came to rest on the right side of Old Woodville at 190 East. 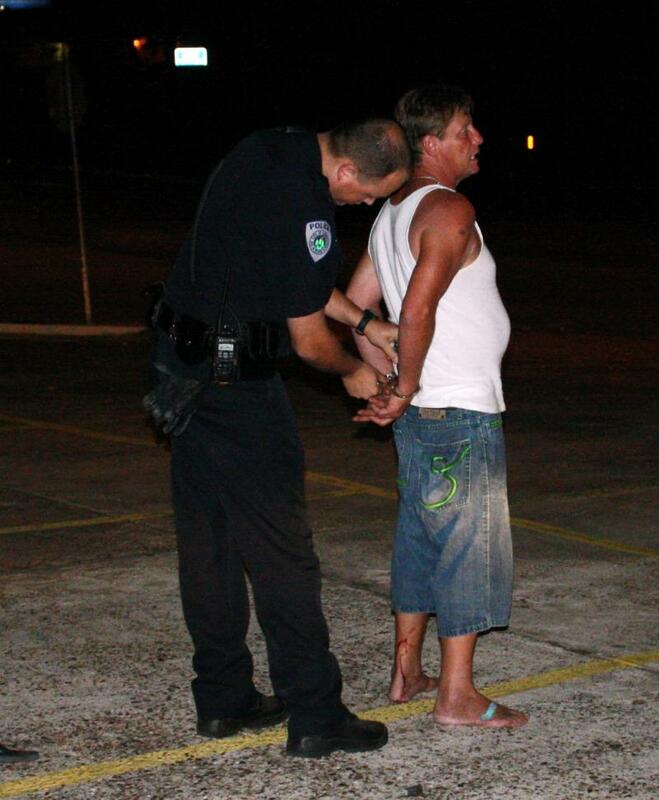 A witness reported the accident and Livingston Police Officers Kaleb Barker, Dallas Early, and Sergeant Darrell Newman were dispatched to the scene to investigate. 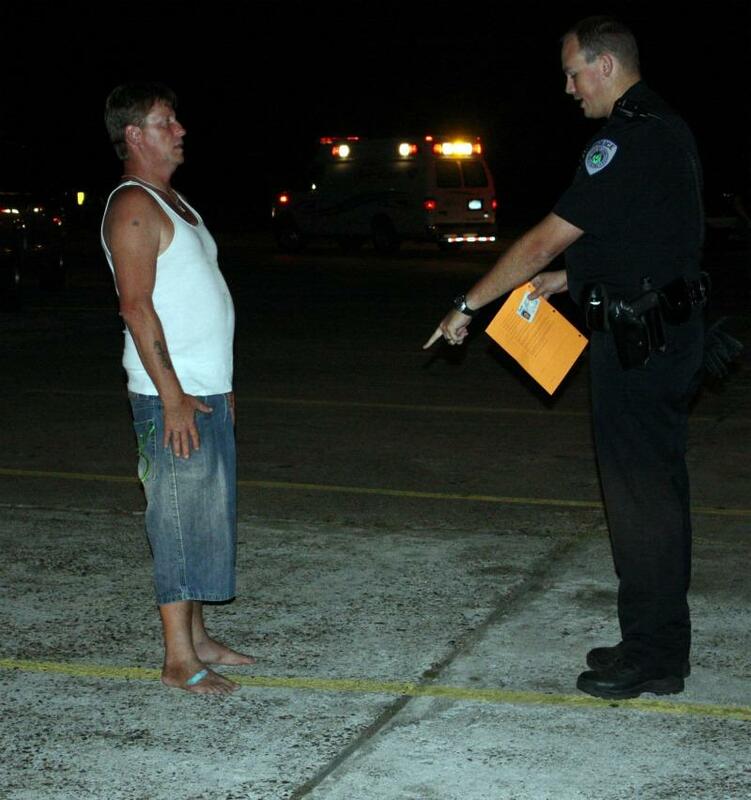 Officer Barker smelled alcohol on Boone and administered a field sobriety test. 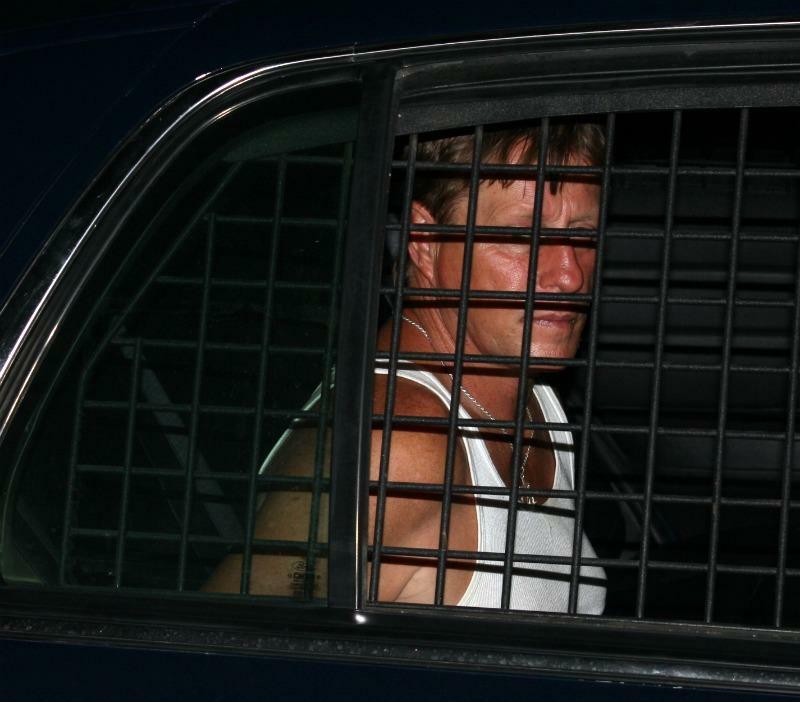 Boone was placed under arrest for driving while intoxicated. Gerald Boone is also facing drug charges as he was found to be in possession of xanax pills, and a pipe with marijuana residue. 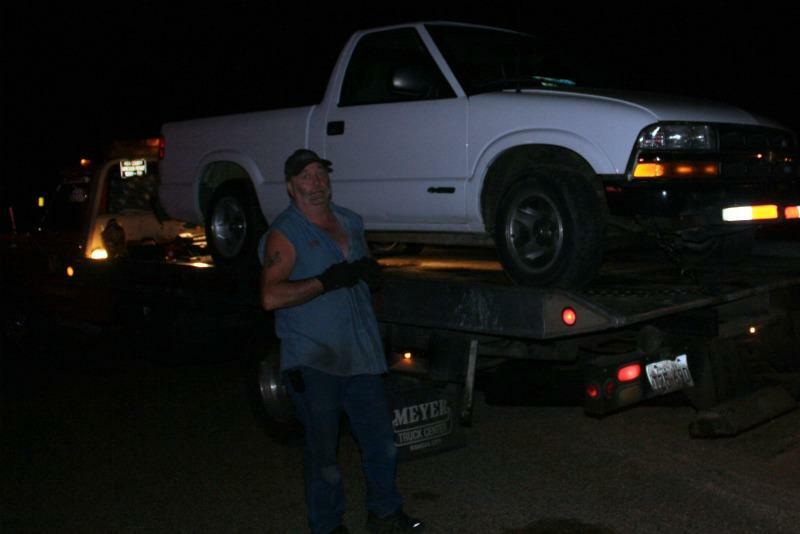 A rollback wrecker from Ken's Towing recovered Boone's vehicle and it will be stored at Harrison Body Shop in Livingston. The scene was cleared by 10:42 pm. 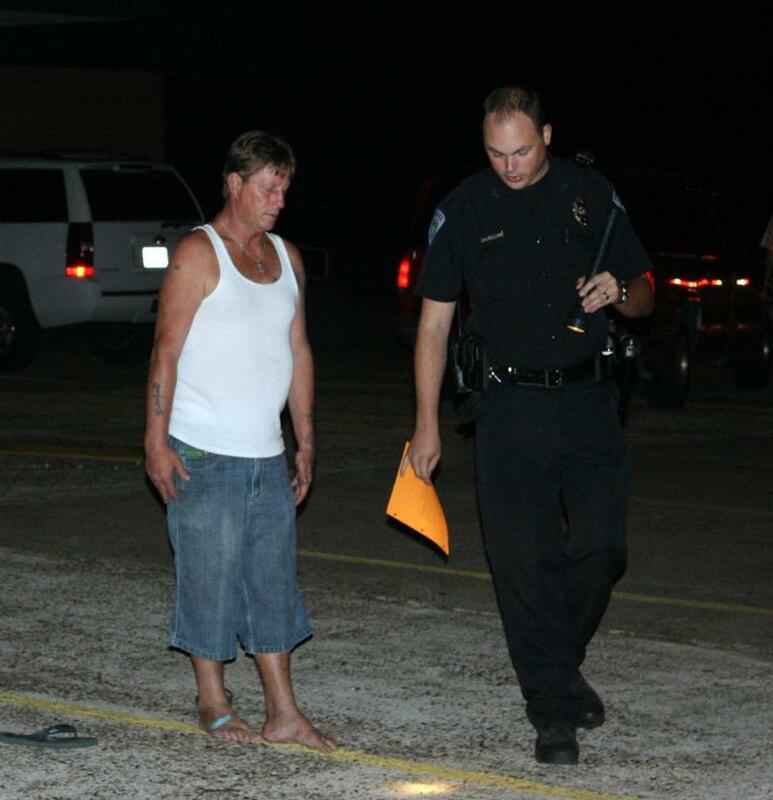 Officer Kaleb Barker administered a field sobriety test on 45 year old Gerald Wayne Boone of Livingston. 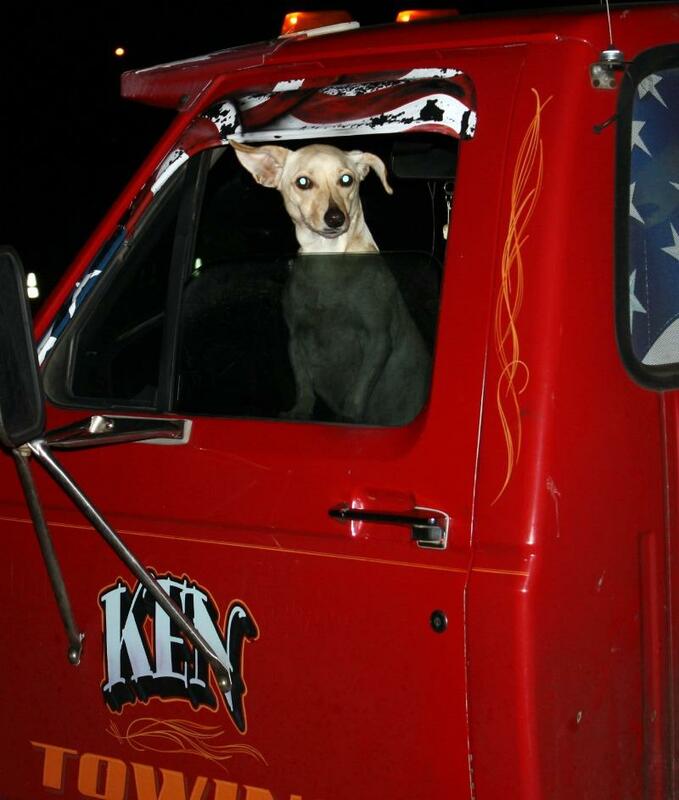 Boone's vehicle was recovered by Ken's Towing.